Former Tigers appearing on MLB rosters include infielder Alex Bregman (Astros), infielder DJ LeMahieu (Yankees), pitcher Aaron Nola (Phillies), pitcher Will Harris (Astros), pitcher Kevin Gausman (Braves), outfielder JaCoby Jones (Tigers), outfielder Mikie Mahtook (Tigers), pitcher Nick Goody (Indians), pitcher Nick Rumbelow (Mariners) and outfielder Andrew Stevenson (Nationals). Bregman played at LSU from 2013 through 2015 and led the Tigers to two College World Series appearances. The No. 2 overall selection by the Astros in the 2015 MLB Draft, Bregman was a two-time first-team all-American at LSU, and he was named the recipient of the 2013 Brooks Wallace Award as the nation’s best shortstop. 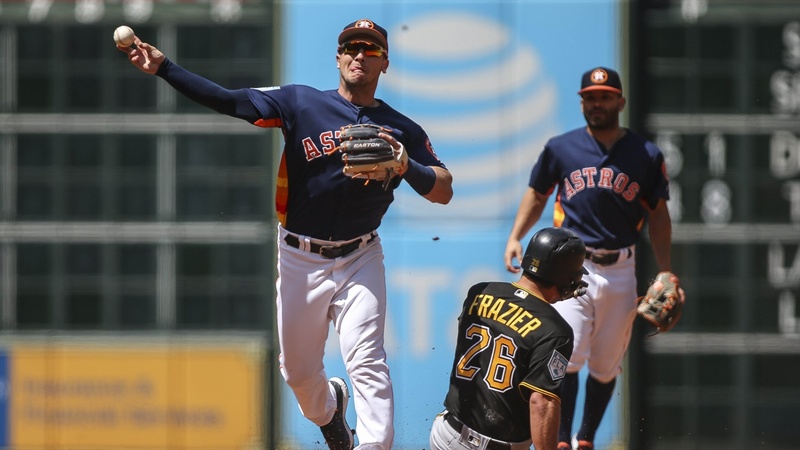 Bregman made his MLB debut with Houston in July 2016, and he helped lead the Astros to the 2017 World Series title as the club’s starting third baseman. He was named the 2018 All-Star Game MVP after blasting the game-winning home run for the American League. LeMahieu, who is in his first season with the Yankees, won the 2016 MLB batting title while playing with the Colorado Rockies, finishing with a .348 average, the highest mark in the both the National and American Leagues. A 2014, 2017 and 2018 Gold Glove recipient and a 2015 and 2017 National League All-Star, LeMahieu played at LSU in 2008 and 2009 and signed with the Chicago Cubs after he was selected in the second round of the ’09 MLB Draft. LeMahieu was the starting second baseman for LSU’s 2009 CWS championship team. Nola, a Baton Rouge native, was a two-time first-team All-America selection and two-time SEC Pitcher of the Year at LSU, and he was voted the 2014 National Pitcher of the Year. He was selected in the first round of the 2014 MLB Draft by the Phillies and is now the club’s No. 1 starting pitcher. Nola was a 2018 National League All-Star, and he finished third in the NL Cy Young Award voting. Harris, who lettered four seasons at LSU (2003-06), was selected to the 2016 American League All-Star team as a relief pitcher with the Astros, and he was a vital contributor out of the bullpen for Houston’s 2017 World Series champion staff. Harris helped LSU reach the College World Series in 2003 and 2004 as a contributor at first base and third base, and he also worked as a relief pitcher in 2006. He was selected in the ninth round of 2006 MLB Draft by the Colorado Rockies. Gausman, who pitched at LSU in 2011 and 2012, was mainstay in the Baltimore Orioles’ rotation before being traded to the Braves last season. Gausman earned first-team All-America honors at LSU in 2012, posting a 12-2 record with a 2.77 ERA and 135 strikeouts in 123.2 innings. He was selected in the first round of the 2012 MLB Draft by the Orioles. Jones played at LSU from 2011 through 2013, and he helped lead the Tigers to the 2012 SEC championship and an appearance in the 2013 College World Series. Jones was the third-round selection of the Pittsburgh Pirates in the 2013 MLB Draft, and he made his major league debut with Detroit in August 2016. Mahtook was three-year starter in the LSU outfield and helped lead the Tigers to the 2009 College World Series title as a freshman. He earned first-team All-America honors in 2011, and was he drafted that year in the first round by the Tampa Bay Rays. After two big league seasons with the Rays, he was traded to the Detroit Tigers in January 2017. Goody pitched the 2012 season at LSU as the Tigers’ closer, making 35 appearances while recording a 2.67 ERA and 11 saves (third in the SEC). A sixth-round draft selection of the New York Yankees in 2012, Goody made his MLB with New York in July 2015, and he joined the Indians in 2017. Rumbelow, who joined the Mariners last season, was selected by the New York Yankees in the seventh round of the 2013 MLB Draft, and he made his major league debut with the club in June 2015. He pitched for three seasons (2011-13) in the LSU bullpen, making 70 career appearances with 86 strikeouts in 70.1 innings. LSU has had at least one former player make his MLB debut in 25 of the past 28 seasons. The Tigers have produced a total of 73 Major Leaguers during their illustrious baseball history.